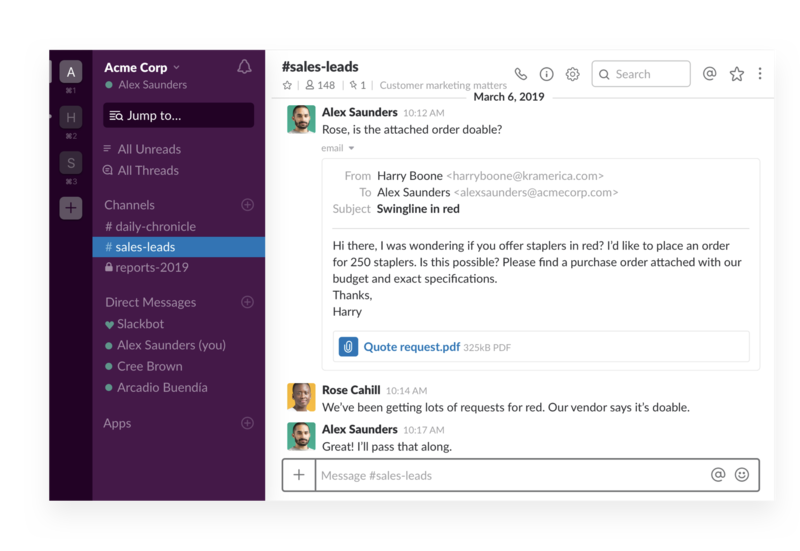 Bring emails out of siloed inboxes and into Slack where you can quickly collaborate with your team and keep an eye on your incoming emails. 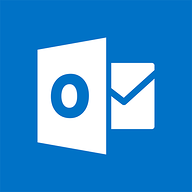 Choose from three options: install the Microsoft Outlook or Gmail add-on, connect the Email app to your workspace, or set up a forwarding email address. 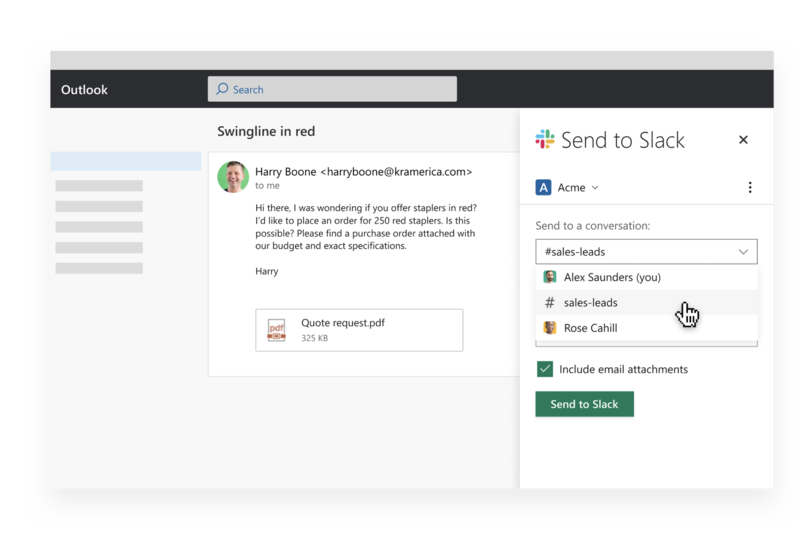 Install the email add-on from Microsoft AppSource or G Suite Marketplace and connect your email account to a Slack workspace. Once the add-on is installed, open any email. For Outlook users, click the three dots menu and select Slack for Outlook. For Gmail users, click the Slack icon located on the right-hand side of your inbox to get started. 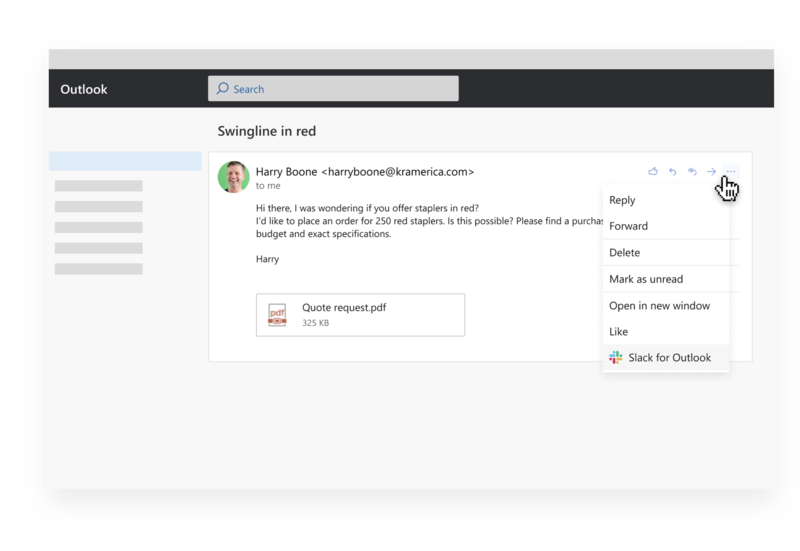 Pro tip for Outlook users: If you’re using the new inbox view, you can add a Slack icon to your top-level action bar to allow for quicker access. Set this up in the Customize Actions section of your Outlook settings. Choose the channel or person you’d like to forward the email to inside of Slack. You can add a message and include attachments if you’d like. Voilà! The email is forwarded into Slack. Anyone in the channel or direct message you shared it to can see the email content and open attachments. 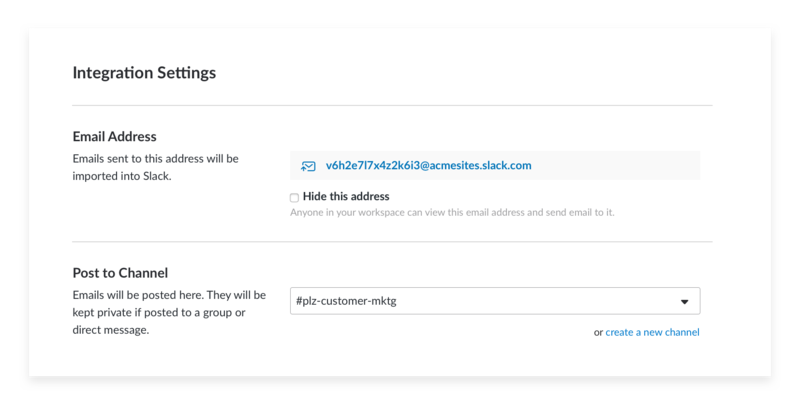 On Slack’s paid plans, you can create an email address that automatically posts any new email directly into a specific channel. 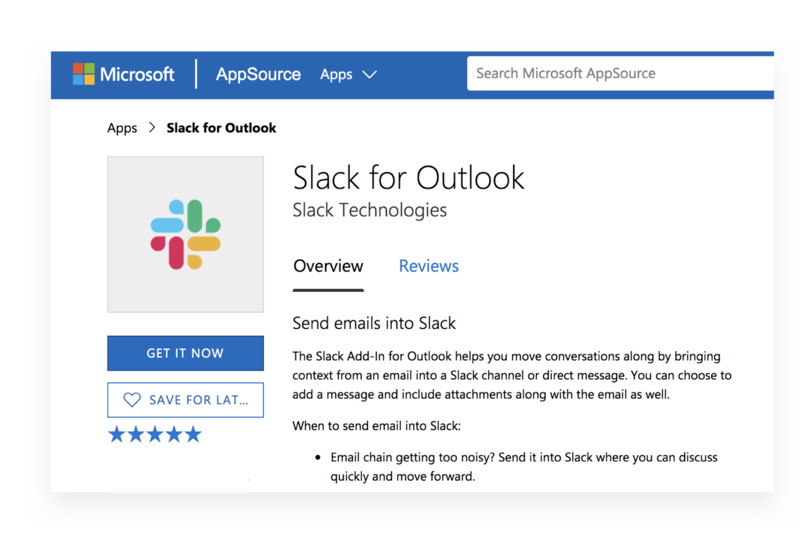 Add the email app from the Slack App Directory. Copy and use the generated email address. If you’d like others to use it, post the email in a message and pin it to the channel. This is particularly useful for sending recurring emails or reports into Slack, just use the special email address wherever you are subscribing to newsletters or generating reports and they will automatically make their way into Slack instead of your inbox. Any email directed to the special address will appear in your desired channel immediately. From there, you can have discussions about the contents, share it with other relevant people, or just use the channel to monitor a stream of incoming mail. 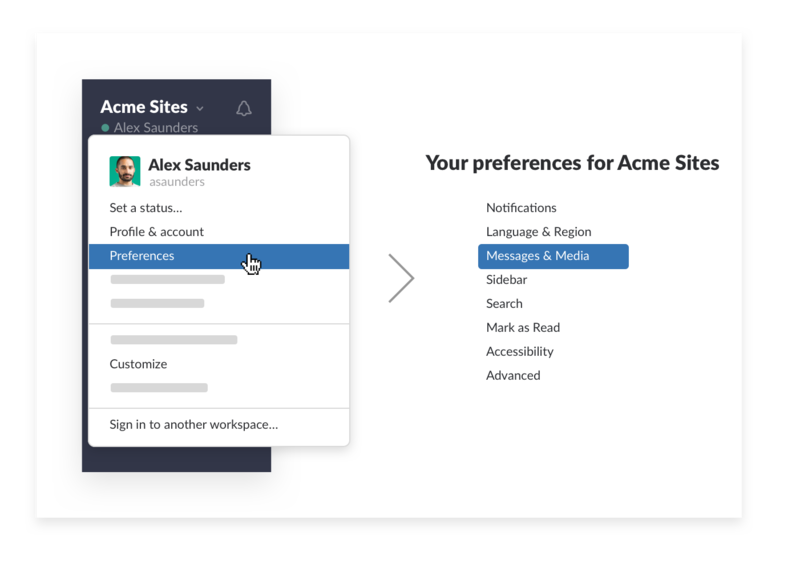 All Slack users (except guests) have the option to create a forwarding email address in their Preferences. Scroll to the bottom of the Messages & Media page and click the button to get a forwarding address.